More often than not, when people are deciding on the size they need their new safe to be, they underestimate it. 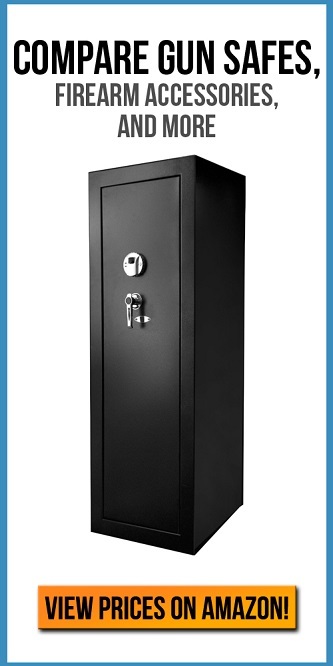 We recommend that when you are choosing a safe, you over estimate what you think you will need for size. Believe it or not, when that safe arrives, you are probably going to be trying to fit everything and the kitchen sink inside of it. Most people just don’t realize how many valuable items they would hate to lose are inside their home. Determining which storage safe will be a great fit for your home can be incredibly simple after you finish following our recommendations on choosing what size is best for you. Safe companies lie about a few things. Stuff like fire ratings and anti-burglary ratings. You really need to be able to read between the lines, and back the manufacturers claim up with positive reviews on sites selling the safes (think Amazon product reviews). These manufacturers will tell you “we have 3.1 cubic feet readily available in this safe,” or “4.3 cubic feet to store all of your belongings.” These might be truthful, but who actually knows just how much stuff can fit into 3.1, or 4.3 cubic feet? It’s a tough thing to picture in your mind. We recommend that you first take all of the valuables in your home and compile them neatly. Stack them up on a dresser, your bed or counter. Make the items form a cube. This will represent them sitting inside of the safe you are thinking of buying. Next up, take out your most trusted tape measure and grab three dimensions: the length, width and height. Next, do some simple math: length multiplied by width multiplied by height. The number your calculator comes up with is in cubed inches. So, divide that number by 12, and you now have the cubic volume that your cube of valuables takes up. At this point, you have an educated guess on how much space you need your safe to have. This makes you strides ahead of most people who buy safes without first doing a bit of research for themselves. You’re going to now want to determine what sort of features you want your safe to have. Keep in mind, shelves, pouches and every other feature takes up more room. This plays into what we said before, estimate what you need, and then over estimate. Better than safe than sorry, especially when you’re dealing with invaluable possessions. Truth be told – we wouldn’t recommend you have only one safe anyway. This is equivalent to putting all your eggs in one basket. Not only that, but less items in one safe while having two safes allows you to store and protect more valuables. You can read more about that, here.